I have been doing so many interviews for this blog tour, that by the time it’s over, there won’t be anything left for you to discover about my life — or at least my writing life, which comes down to the same thing. Today is the beginning of NaBloWriMo (National Blog Posting Month) and after two weeks of daily posting, wouldn’t you know, I almost forgot to post a bloggery! NaBloWriMo is a personal challenge — I don’t win anything except knowing that I posted to my blog every day, but still, I would have hated to lose on the very first day! This is also the first day of MyWriMo (My Writing Month). I am not going to try to write a novel this month, not going to aim for anything close to 50,000 words. My only goal is to add a single sentence each day to my poor neglected WIP. I’ve already written 41,000 words, so I should be getting to the easy time where I know the characters, the story, where I want to go, but this book is different than any I have ever written. It’s in three parts. The first part was seeing how much freedom my hero would give up for security. The second part is seeing how much security he’s willing to give up for freedom. The third part is seeing how much security and freedom are dependent on responsiblity. In other words, it’s three books in one. The characters in the first part that my hero met are gone. He needs to meet new people, so basically, now that I’m starting to write Part II, I’m starting a new book, never an easy task for me. I’m off to write my single sentence. Don’t forget to stop by Book Reviews by Bobbie and leave a comment. 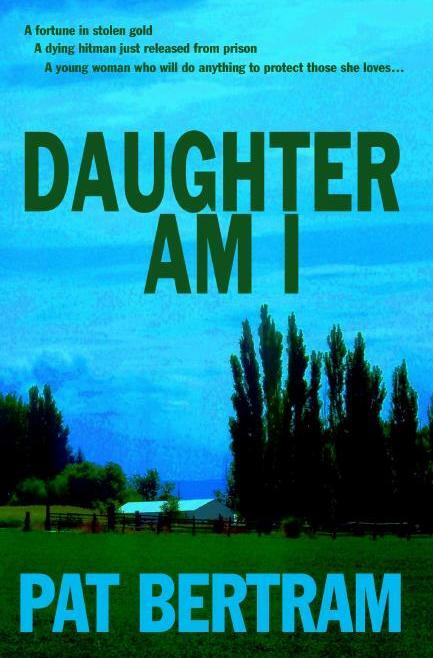 You might win a copy of Daughter Am I. Click here: Book Giveaway and Guest Author.